Buy 2 or more, $9.98 each! Buy 3 or more, $7.99 each! Buy an ornament, help a child. It's as simple as that. 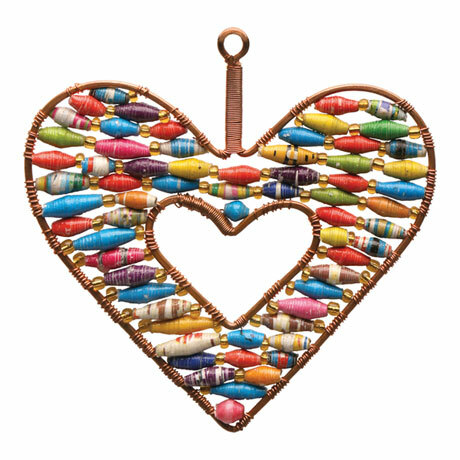 Handcrafted in Uganda from copper and beads made from recycled paper, brightly colored ornament is more than a pretty, colorful decoration for your home. Sales support orphans and other vulnerable children. Fair Trade item, about 4" x 4". No two are alike. Story card included.